Just wanted to bring an interesting website to everyone’s attention. It’s called ‘peakery’. It can be located at….. The peakery website features over 330,000 peaks from around the globe. You are able to find peaks by browsing lists, maps, and photos. You can also use peakery to envision your next peak objective with photos, trip reports, statistics, 3D fly-arounds, and maps. The 3D fly around feature is extremely good. On the site you can also log all of your summits. Once you’ve returned safely from your summit, you can share your summit experience, by adding trip details, photos, route info, and information on who you went with. Every peak that you summit earns you its summit badge. As you climb more peaks, you rise up the ranks as shown on the Members page. Just as with WordPress, you can follow someone’s progress. Your page will also show you some interesting facts such as your user rank, the highest peak that you have activated, and the top regions that you have climbed peaks in. Peakery can also be found on Facebook…..
You can even download your own peakery Annual Report which documents your year in the mountains. 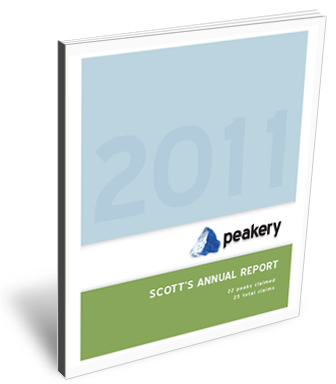 The Annual Report is a comprehensive summary including all of your claimed peaks and summit logs for a specific year. If a summit does not appear on the peakery list, you can add it to peakery. Your addition will first go to the peakery moderator/s for their approval. I should warn you, that not all will be included, even if they have the 150 metres of prominence as required with SOTA. A total of 19 of the SOTA summits I have activated are not recorded on peakery, and at this stage have not been approved to be added? This is about 40 % of my SOTA activations. However, despite this, peakery is another tool that can be used when considering activating a peak as part of the Summits on the Air (SOTA) program. I am heading off to Europe in July for 7 weeks and I was hoping to activate a few Summits on the Air (SOTA) peaks and World Wide Flora Fauna (WWFF) parks whilst there. So I commenced making enquiries re operating whilst over there. What I found was information, here, there and everywhere. Unfortunately the ACMA’s website contained very little information and even after telephoning them and corresponding via email, I was confused. So here is a little bit of information, should you be in the same position as me with holding an Australian Standard class licence. Sadly, as a Standard licence class holder, it is not easy getting on air overseas. You are not covered by the CEPT agreements which I will talk about in more detail below. The CEPT agreements are relevant if you are the holder of an Advanced licence. However, I did find that as a Standard licence holder, you can apply for a 3 month visitor’s licence to operate in the Federal Republic of Germany. The European Conference of Postal and Telecommunications Administrations (CEPT) was instituted by an intergovernmental arrangement on the 26th June, 1959 at Montreux, Switzerland. It was established as a co-ordinating body for European state telecommunications and postal organisations. The CEPT acronym comes from the French version of its name, Conférence européenne des administrations des postes et des télécommunications. It was originally established by 19 countries, which expanded to 26 during its first ten years. There are now 48 member countries in the CEPT. Albania, Andorra, Austria, Azerbaijan, Belarus, Belgium, Bosnia and Herzegovina, Bulgaria, Croatia, Cyprus, Czech Republic, Denmark, Estonia, Finland, France, Georgia, Germany, Greece, Hungary, Iceland, Ireland, Italy, Latvia, Liechtenstein, Lithuania, Luxembourg, The Former Yugoslav Republic of Macedonia, Malta, Moldova, Monaco, Montenegro, Netherlands, Norway, Poland, Portugal, Romania, Russian Federation, San Marino, Serbia, Slovak Republic, Slovenia, Spain, Sweden, Switzerland, Turkey, Ukraine, United Kingdom, Vatican. The Recommendation was revised in 1992 with the aim to make it possible for non-CEPT countries to participate in this licensing system. Australia is recorded in the document as a non-CEPT country. Other non-CEPT countries recorded in the document are Canda, Curacao, Israel, Netherlands Antilles, New Zealand, Peru, South Africa, and the USA. However, you need to be the holder of an Advanced amateur radio licence to operate in CEPT countries under this Recommendation. Annex 4, Table 2, shows the required equivalence between National licences of non-CEPT countries and the CEPT licence. So in essence under this Recommendation, if you hold an Australian Advanced licence you can operate in the European CEPT countries for up to 3 months without needing to apply for a reciprocal licence. You obviously need to adhere to the relevant band plans, power limits, rules, etc. The Recommendation can be downloaded in full from…..
ECC Recommendation (05)06 CEPT Novice Radio Amateur Licence was approved in October 2005 and was amended in October 2011. This Recommendation acknowledges that in many countries, novice licences exist, none of which are included in the procedures of Recommendation T/R 61-01 mentioned above. This Recommendation relates to both CEPT member countries, and CEPT non member countries. However, please note, Australia is not included in this Recommendation and the Recommendation has not been implemented by Australia! The only non CEPT country listed in the Recommendation is the United States of America (USA). It appears for whatever reason/s, the WIA and ACMA have not progressed Australia to be included in this Recommendation. I will endeavour to find out why. This Recommendation can be downloaded in full from….. This Recommendation was approved in 1990 and makes it possible for CEPT administrations to issue a Harmonised Amateur Radio Examination Certificate (HAREC). Initially, only CEPT countries were involved in HAREC, however the Recommendation has been modified to allow non-CEPT countries to participate. You need to successfully pass an amateur radio examination to obtain a HAREC. The HAREC facilitates the issuing of an individual licence to radio amateurs who stay in a country for a longer term than that mentioned in CEPT Recommendation T/R 61-01. It also facilitates the issuing of an individual licence to a radio amateur returning to his native country showing the HAREC certificate issued by a foreign administration. Australia is listed as a non-CEPT country in this Recommendation. German 3 month temporary licence. If you are visiting the Federal Republic of Germany and would like to continue your hobby of amateur radio whilst there, you can apply for a 3 month temporary admission licence. The fee is 70 Euros (EUR). This licence will allow you to operate under the privileges of a German National Class E licence: the 160m band, the 15m band, and the 10m band on HF, with 100 watts PEP; and 2m and 70cm with 75 watts PEP. 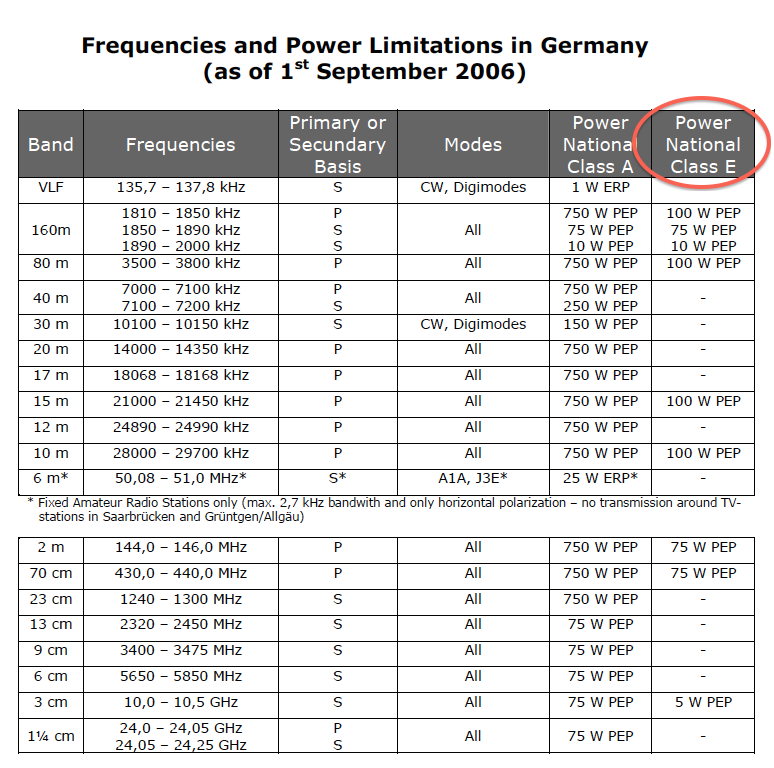 Radio amateurs to which one of the CEPT Recommendations T/R 61-01 or (05)06 applies, or who are resident in Germany or hold a permanent German admission to participation in the amateur service cannot be issued a temporary admission upon this application. The Belgium Amateur Radio Society (UBA) allows amateurs who are not part of the CEPT Recommendations, to apply for a special guest licence. You need to send a letter of enquiry to the UBA, with a photocopy of your amateur licence, together with the study program relating to the radio amateur examination in your country. The UBA website states that the entire procedure may take quite a while and there is no guarantee of success. While I have the opportunity, I would like to publicly thank the following people who promptly replied to my queries and sent me a lot of helpful information….. Sadly, I never received a reply from the French authorities, and I received a very limited response from ACMA. The ACMA’s website also has out of date information, and it is difficult to interpret information on the site. This has been pointed out on the SOTA Yahoo group previously when the issue of reciprocal licensing was discussed. So what have I learnt? Get my upgrade! I am hoping to have my application for a 3 month temporary admission licence to Germany approved, so I can activate a few summits and a park in south western Germany. A number of times recently I have been asked about what parks qualify for the VK5 National and Conservation Parks award? and how parks become Conservation Parks in the first place? So, I am hoping that this blog will be of some interest and answer some questions on South Australia’s parks system. It has certainly shed some light on the system for me, and has also revealed that the Region and District system has changed since the inception of the VK5 Parks Award in April last year. Yes, that means another spreadsheet to come out. But it has helped me in the formulative stages of the proposed new award certificate ‘Worked All VK5 Park Regions’. 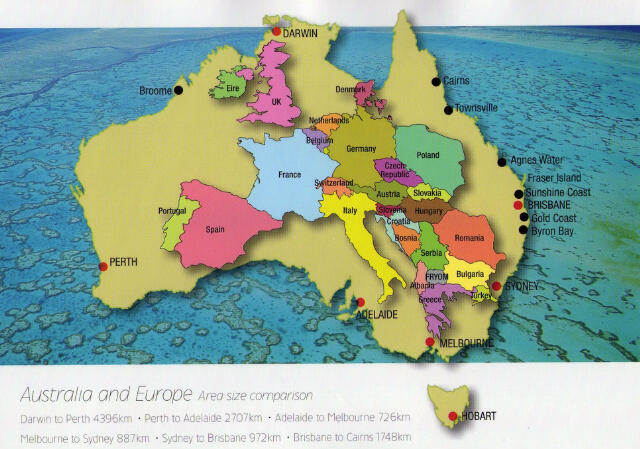 Firstly, just how big is South Australia? 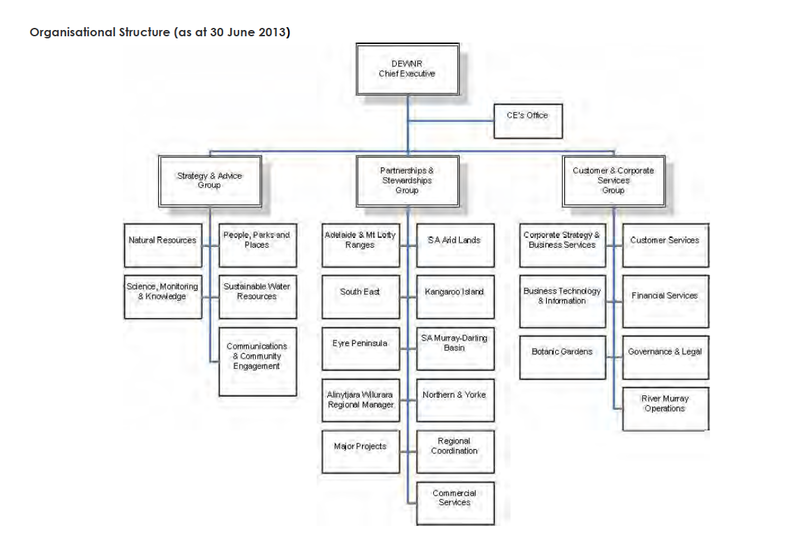 Below is an organisation structure chart of DEWNR, as of 30th June, 2013. ‘A clearly defined geographical space, recognised, dedicated and managed, through legal or other effective means, to achieve the long term conservation of nature with associated ecosystem services and cultural values’ (Dudley 2008). DEWNR are in partnership with the Natural Resources Management Council (NRM) which was established in 2004. This comes under the DEWNR’s umbrella of ‘Partnerships & Stewardships Group’. Additionally, there is the National Parks and Wildlife Council which was established in 1996 under the National Parks and Wildlife Act 1972. One of the main items of business for this Council is reviewing park management plans. ‘Conserving Nature 2012-2020‘ is a strategy for establishing a system of protected areas in South Australia. It is a big document, but it is worth a read and contains some very interesting information. The Conserving Nature document, advised that about 28.6% of the state of South Australia was under some form of ‘protected‘ status. Land that is of national significance by reason of its wildlife or natural features. There are 21 of these in S.A. that include an area of 3,995,444 hectares (4.1% of the State). Land that is protected or preserved for conserving wildlife or natural or historic features. There are 268 of these in S.A. that cover an area of 5,859,256 hectares (6.0% of the State). Land that is conserved and managed for public recreation and enjoyment. 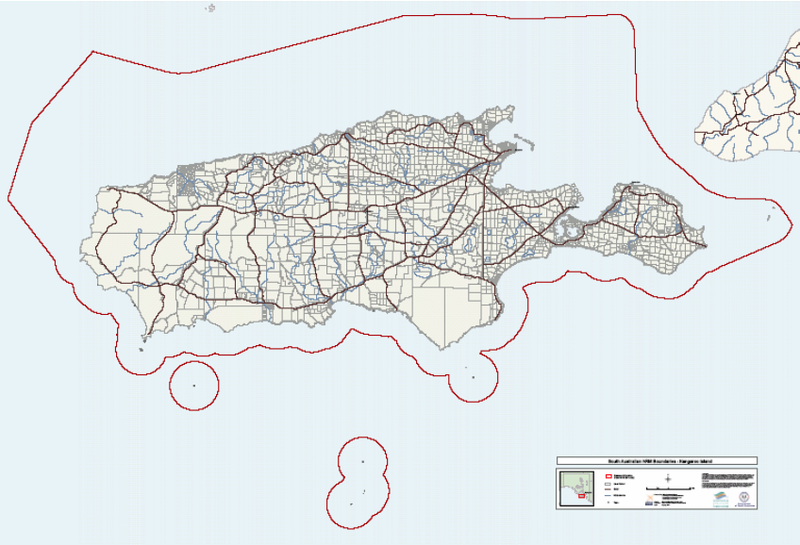 There are a total of 14 recreation parks, covering an area of 3,204 hectares (<0.1% of the State). 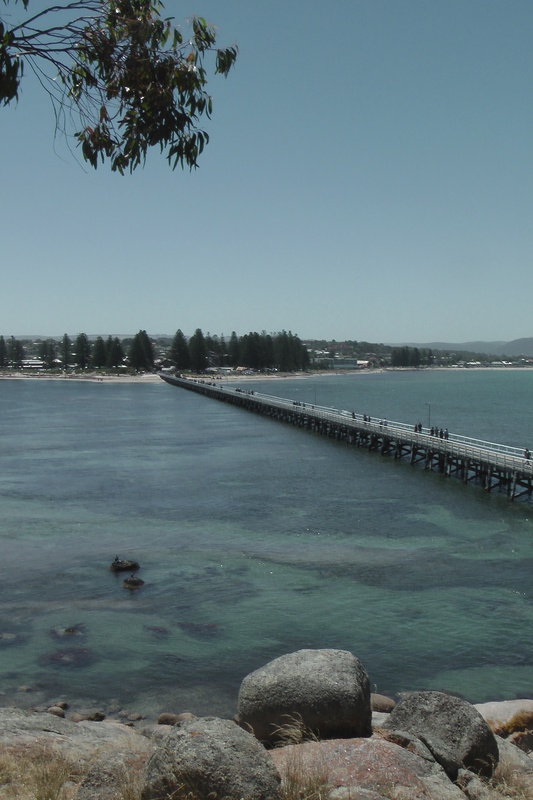 Some examples of this type of Park are the Para Wirra Recreation Park, and Granite Island Recreation Park. Land that is preserved for the conservation of wildlife and management of game. There are 10 of these covering an area of about 25,888 hectares (<0.1% of the State). A few examples of this type of park are Tolderol Game Reserve and Currency Creek Game Reserve. Duck open season applies to these Reserves. For more information on Game Reserves, have a look at…..
Land that is protected or preserved for conserving wildlife or natural or historic features while, at the same time, permitting the utilisation of natural resources. There are 7 of these covering an area of 9,342,641 hectares (9.5% of the State). An example of this is the Chowilla Regional Reserve near Renmark which comprises 75,036 hectares. 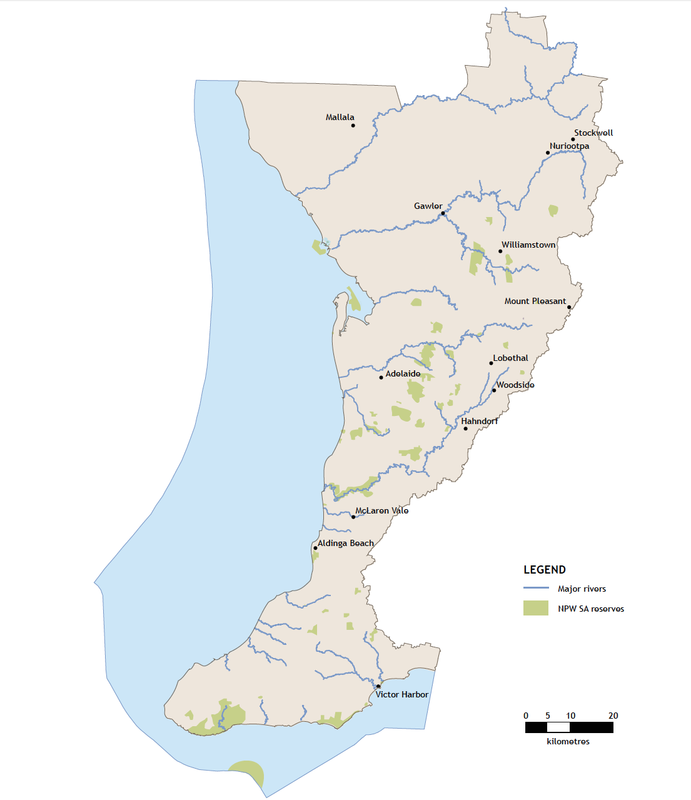 For more information on Regional Reserves, please have a look at…..
Land that is protected to conserve ecosystems that have not been affected, or have been affected to only a minor extent, by modern technology; and ecosystems that have not been seriously affected by modern exotic animals or plants or other exotic organisms. There are 14 of these, covering an area of 1,842,071 hectares (1.9 % of the State). An example of this type of park is the Billiatt Wilderness Protection Area, which was decimated by fire last Summer. For more information on Wilderness Protection Areas, please have a look at…..
Crown land that is specifically managed for conservation by the Government. There are 16 of these covering an area of 19,480 hectares(<0.1% of the State). An example of this type of park is the Mutton Cove Conservation Park on the Le Fevre Peninsula. Which by the way, I activated earlier in the year, believing it was a Conservation park. Not so! Managed for native flora and fauna conservation. There are 61 of these, covering an area of 16,050 hectares. 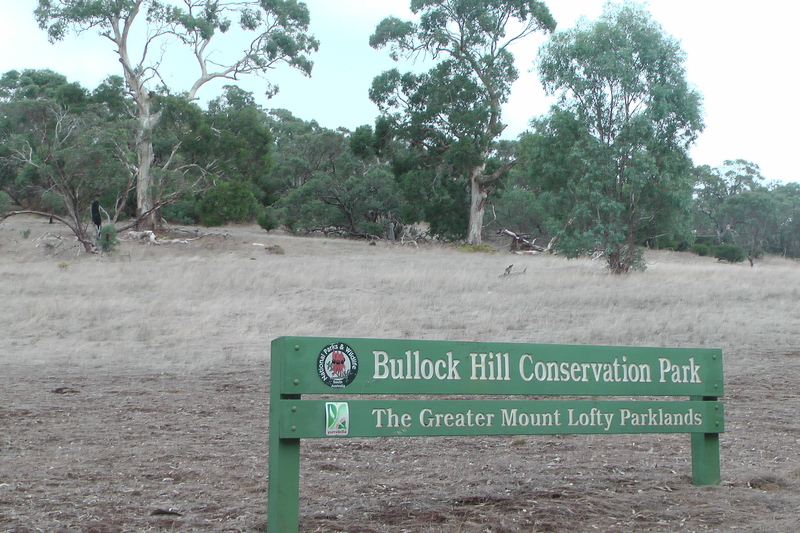 Examples of this type of park are Mount Crawford Forest, Kuipto Forest and Wirrabara Forest. Many of these parks have Adopted Management Plans, which contain relevant management issues for each specific park. When those plans are in the preparation stage, the DEWNR provides the public and stakeholders the opportunity to become involved in the planning process. DEWNR place advertisements in The Advertiser and in local newspapers, where they call for suggestions on issues relevant to the management of a specific park. For more information on these plans, please have a look at….. Remember, that ONLY National Parks and Conservation Parks qualify for the VK5 National and Conservation parks award. Since the inception of the VK5 National and Conservation parks Award, there has been a total of 6 Conservation Parks established/gazetted. These have been added to the VK5 Parks award list. Some of these have been activated including the Bullock Hill Conservation Park and the Ettrick Conservation Park. The DEWNR website records recent additions to park boundaries which is worth having a look at….. 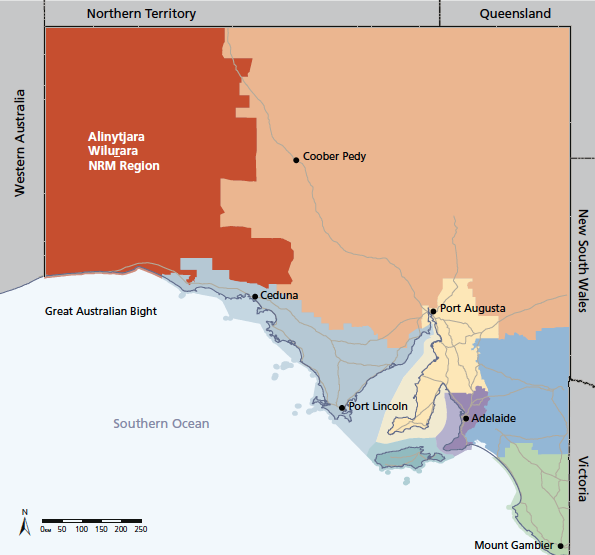 The largest region is the SA Arid Lands region which covers over half of South Australia and encompasses the state’s north-east corner to its borders with NSW, Queensland, and the Northern Territory. It is more than 400,000 square km in size. This is followed by Alinytjara Wiluara (meaning ‘north west’ in Pitjantjatjara) which covers the north west third of South Australia and is more than 250,000 square km in size. In turn those Regions are broken up into Districts. 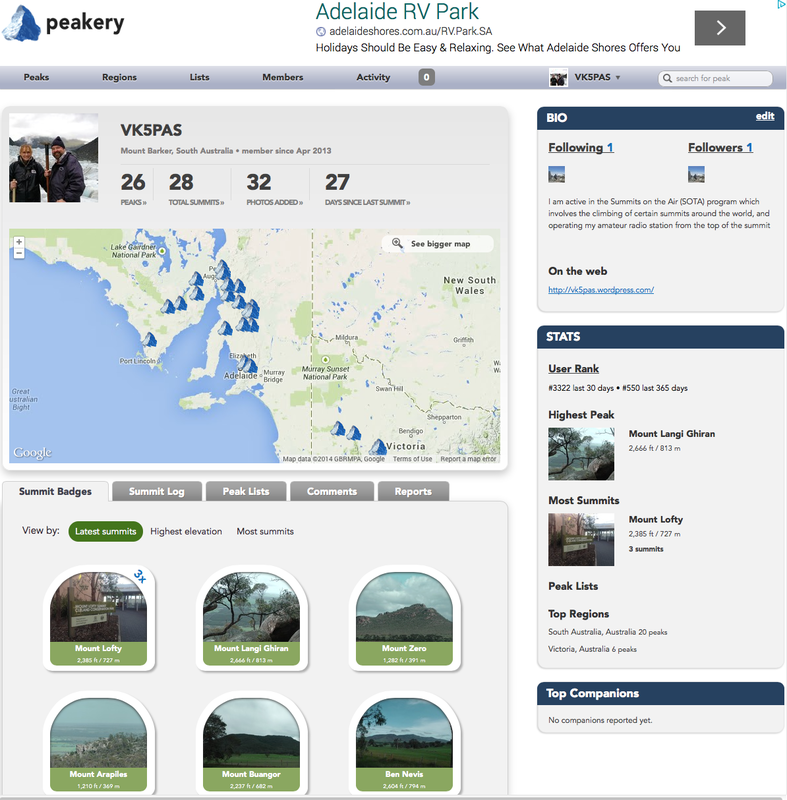 The 21 National Parks and 268 Conservation Parks in South Australia re located within those regions and Districts. Please note that the regions referred to on the National Parks website, are totally different regions as mentioned above. http://www.environment.sa.gov.au/parks/Find_a_park/Browse_by_region The regions referred to at that link are geographical regions and not administrative regions. 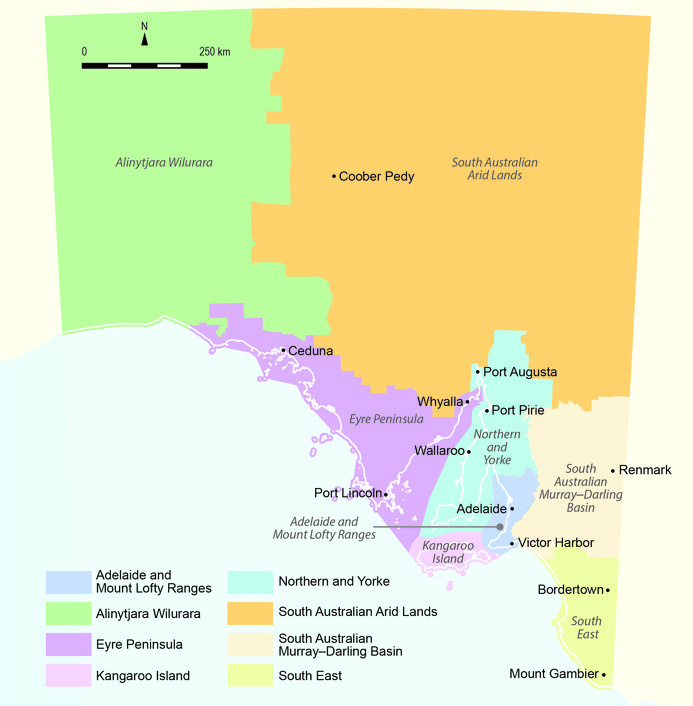 Adelaide & Mount Lofty Ranges Region. This region was previously known as Adelaide region, and consisted of the Fleurieu, Northern Lofty, and Southern Lofty districts. DEWNR offices for this region exist at Eastwood, Lobethal, Gawler, Willunga, and Victor Harbour. 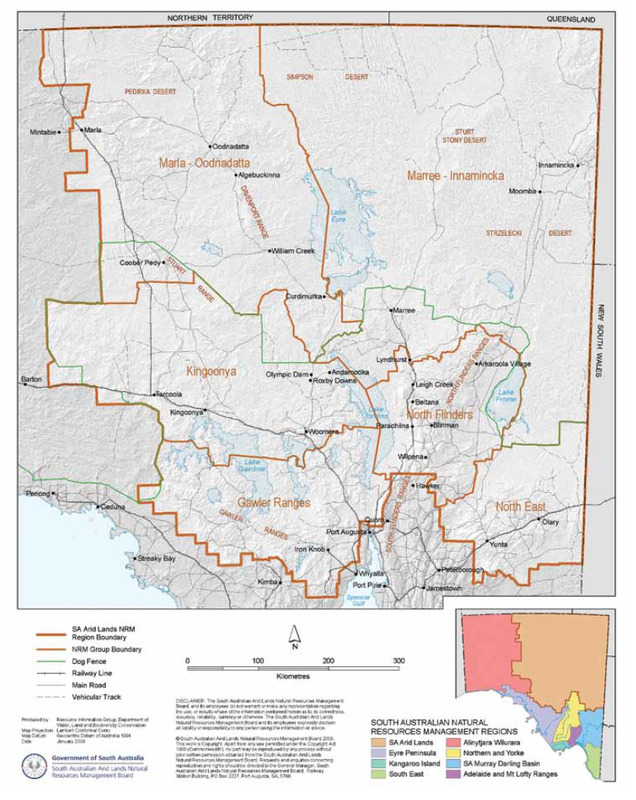 The map below shows the Adelaide and Mount Lofty Ranges split into its three Districts. A DEWNR office exists at Ceduna. This region was previously called West region. This region does not appear to be divided into Districts. 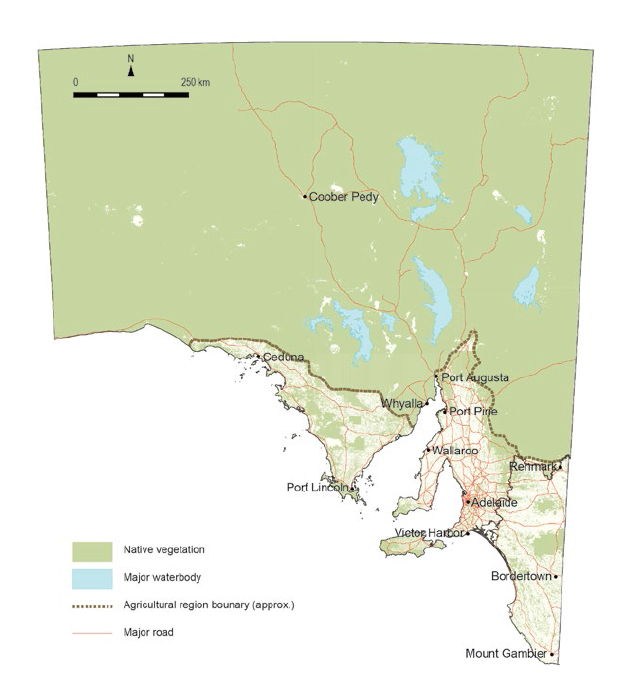 DEWNR offices for this region exist at Port Lincoln and Ceduna. A DEWNR office for this region exists at Kingscote. A DEWNR for this region office exists at Clare. 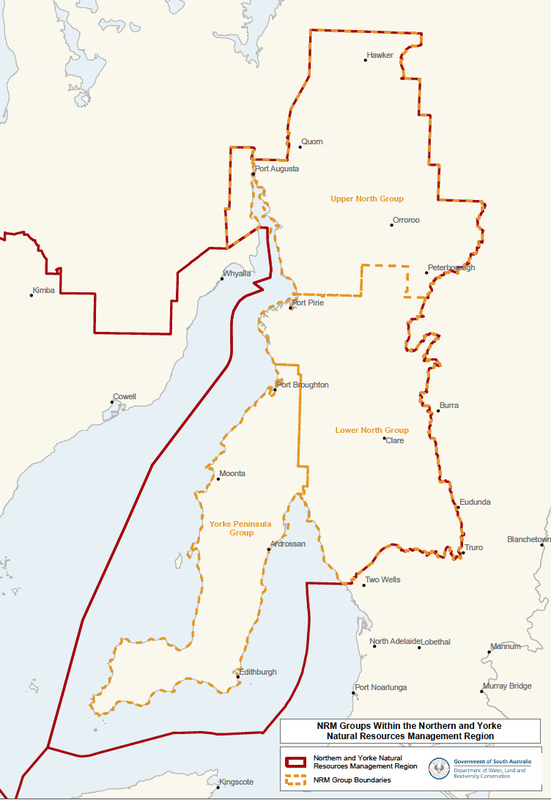 This area covers over half of South Australia and takes up the state’s north east corner to its borders with New South Wales, Queensland, and the Northern Territory. The population within this semi arid region comprises less than 2% of the State’s entire population. A DEWNR office exists at Port Augusta. This region was previously known as Murraylands and contained a number of parks that were in the old Adelaide area, e.g. Kyeema Conservation Park and parks that were in the old Northern & Yorke region including Mkotoa CP and Red Banks CP. DEWNR offices exist at Murray Bridge and Berri. Three parks in this region overlap with the SA Murray-Darlling Basin. 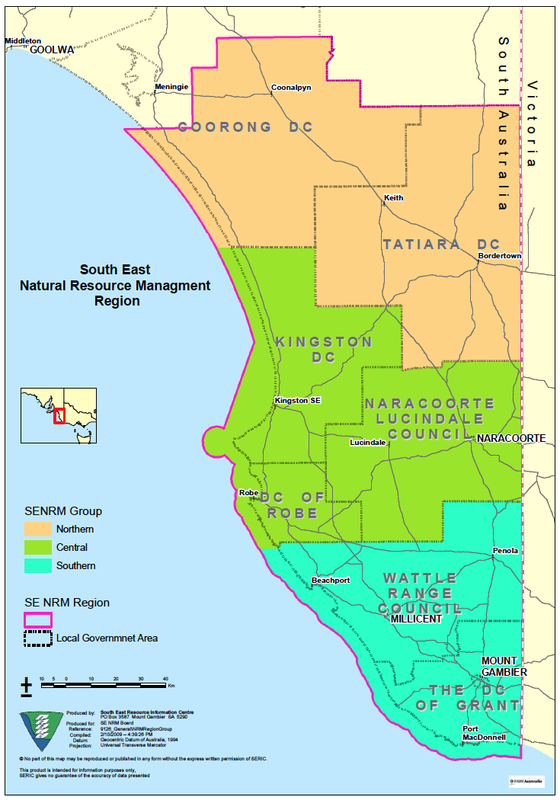 They are: Carcuma Conservation Park, Coorong Conservation Park, and Ngarkat Conservation Park. A DEWNR office exists at Mount Gambier. So there you go. I have probably completely confused you. But I do hope it has shed some light on the parks system here in South Australia. Finally, do not rely on all the information that you find on some of the ‘official’ websites on the internet. I have found some of them to be incomplete. 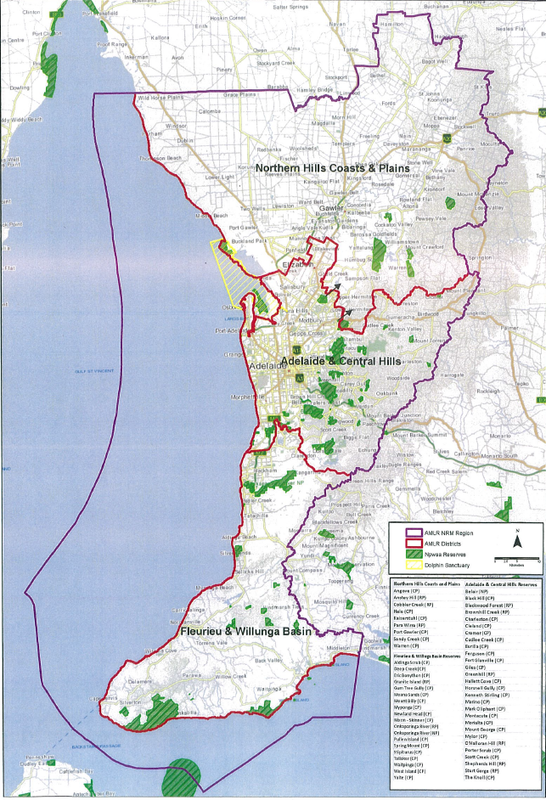 For example I found a total of 20 Conservation Parks in the Adelaide & Mt Lofty Ranges District that were not recorded on the list on the NRM website for that Region. Also, do not rely on Google maps. It does not show up all of the Conservation Parks Try using one of the following…..
For more information on parks in South Australia, please see the National Parks South Australia website at…..
Or the Natural Resources website at…..
National Parks South Australia also has a Facebook site should you be interested….. They also have an app called My Parx, which I will review in an upcoming post. This blog is just a quick reminder to all about the…..
World Wide Flora & Fauna (WWFF) program. The WWFF program encourages portable operation from designated nature parks and protected nature areas around the world. There are currently 39 participating countries in the WWFF program, in Europe, North America, South America, Africa, Asia, & Oceania. The WWFF program commenced in late 2012, after being re-named and ‘rebadged’. It was previously known as World Flora Fauna (WFF). The Australian (VKFF) program commenced in March, 2013. I am the Australian co-ordinator. 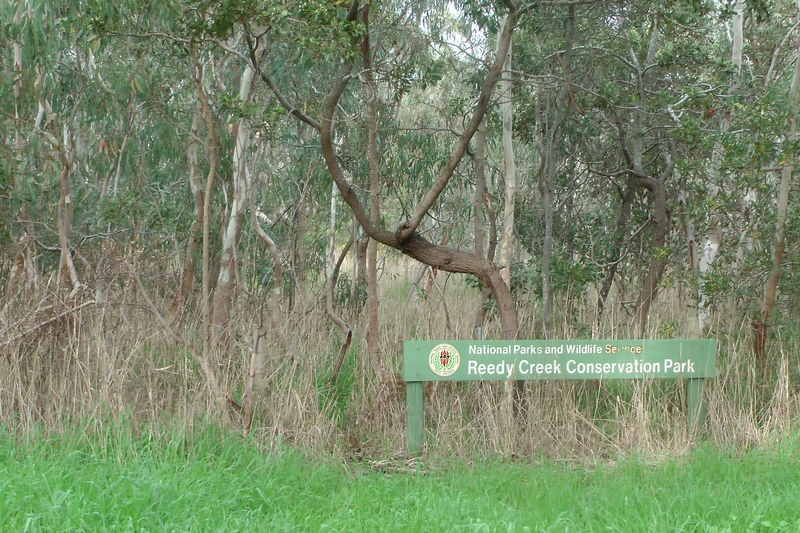 In Australia, the qualifying areas for WWFF are National Parks. There are currently over 730 National Parks recorded on the Australian (VKFF) list, so there is certainly no shortage of available parks here in Australia. Over 100 parks were added to the VKFF list earlier this year. These parks had initially been left off the original list compiled at the commencement of the WFF program. More information on the WWFF program can be located at the WWFF global website at…..
And for information on the Australian (VKFF) program, please have a look at…..
What parks can you activate in Australia? As mentioned, qualifying parks in Australia are National Parks. You can view a list of all qualifying Australian National Parks on the VKFF website mentioned above. You can also download a list from there as well. Or you can download the entire WWFF Directory from the global WWFF website. This will show you all qualifying parks around the world. Please note, that only Australian National Parks established and gazetted before 2008 qualify at this stage. As more parks are activated, I will be allowed to add the newly established parks. What do you need to do to qualify a park? There are two distinct areas in WWFF. They are the global rules and awards system, and then there is the relevant National rules and awards system. Why two systems? Some countries do not have National representation. However, this does not preclude amateurs from activating designated parks that appear in the WWFF Directory, that are located in those countries. So in those instances the global WWFF rules and apply. Basically this means that you require 44 QSOs over a 2 hour operating period. This can be accumulative. The WWFF global council, of which I am on, offer WWFF global awards. However, some countries have National representation and have their own National rules and offer their own National awards. This is the case with the Australian (VKFF) program. 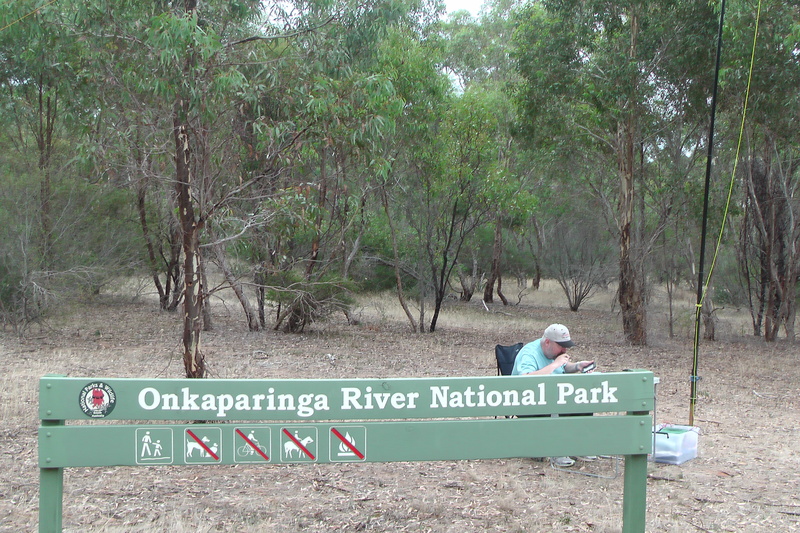 To qualify an Australian National Park for the VKFF program, you only need 10 QSOs over a 30 minute activation period. Again, this can be accumulated. Sof if you are lucky enough to operate for 2 hours (includes establishing the station) and get your 44 + QSOs, then not only have you qualified the park under the global rules, but you have certainly well and truly activated the park under the VKFF rules. The bonus is that you are well on your way to at least 2 different award certificates…a global one, and also a VKFF National certificate. So once you’ve activated a qualifying National Park, what do you need to do? You need to send me a copy of your activator log in either ADIF format or by using the csv file template (mentioned below). The log will then be uploaded to the WWFF LogSearch. Please send the log to my email address at…..
What do you need to do as a park Hunter? The answer is nothing. Unlike some other programs, you do not need to have anything uploaded to LogSearch if you are a Hunter. A pivotal part of the WWFF program is the LogSearch facility, which enables activators to have their logs uploaded electronically by WWFF National co-ordinators. Through LogSearch, WWFF Activators and Hunters can view their progress in the WWFF program, and apply for awards on line. There are currently 3,890,424 QSOs in the LogSearch database, from 5,255 different references in 80 DXCCs. It is a big data base! LogSearch can be found at…..
For more information on LogSearch and its features, you will find a file in the FILES section of the WWFF Australia Yahoo group. The file is called ‘What is WWFF LogSearch?’ which I compiled on 27th March, 2014. It explains LogSearch in full and is a good reference. How do I send a log? I need an ADIF file of your activation. Or you can send your activation log to me as a csv file. ADIF stands for Amateur Data Interchange Format. ADIF is an open standard for exchange of data between ham radio software packages available from different vendors. If you submit an ADIF file for upload to the LogSearch facility, please see the required information below….. If you do not run an electronic log, then the second option is to send me a csv file (comma-separated value, or sometimes called character-separated value). All csv files are supported by all spreadsheet programs such as Excel, OpenOffice, Google Docs spreadsheets, etc. Andrew 2E0GFF (formerly M6ADB) has placed a template Excel file in the FILES section of the WWFF Australia Yahoo group, that can be used to submit for LogSearch. It needs to be saved as a csv file prior to sending it to me for upload. A single log file can be used for multiple activities/references! You may see some abbreviations in the Excel file. EOF = End of File. As mentioned, the WWFF global council offers ‘global’ awards. These are available for FREE as a PDF files via the WWFF LogSearch facility. For more information on these awards, please see the WWFF global website. The WWFF global team have also recently initiated some new awards and there are others on the drawing board. Again, further information on these awards can be found on the website. The participating National programs in WWFF also maintain various national award programs for hunters and activators. For details on these, please check out the ‘WWFF National Awards’ page on the WWFF global website. Diamond (50 different VKFF areas). The certificates can be applied for online via LogSearch and are sent for FREE as a PDF. Or if you do not have a printer, I can print the certificate and mail it to you at a coast of $5.00. The certificates are printed on A4 high quality photo paper on my Epson Artisan 730 printer. 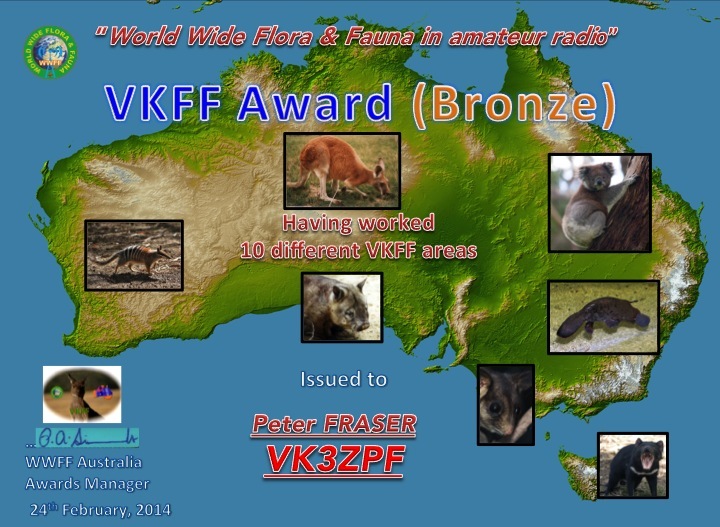 I have also just recently introduced the VKFF DX Hunter award and the VKFF Worked All Australia award. More details on these two new awards can be found on the WWFF Australia website. I would like to say thank you to two active VK1 amateurs: Andrew VK1NAM and Ian VK1DI, for their efforts in promoting the WWFF program. Andrew has been regularly submitting his logs to me for upload to LogSearch, and has also mentioned the WWFF / VKFF program a number of times on this WordPress site…..
Ian has also been regularly submitting his logs and has also mentioned WWFF / VKFF a number of times on his blog. Ian has also done some excellent work with mapping all of the VKFF reference areas. These files can be downloaded from the FILES section of the WWFF Australia Yahoo group. And also to two active VK3 amateurs: Tony VK3VTH, and Peter VK3ZPF, who have both been busy activating VKFF parks in Victoria, and working lots of DX along the way. Both have regularly supplied their logs and their tallies on LogSearch are looking very healthy. And there are many other Australian amateurs who have now embraced VKFF activations. Thanks to all. So there you go. If you would like to combine your love for great outdoors and enjoy travelling to beautiful locations around Australia, whilst combining the hobby of amateur radio. Then WWFF may be for you. Many SOTA peaks are located within National Parks. Mapping files & spreadsheets showing a correlation between peaks and parks can be located in the Files section of the WWFF Australia Yahoo group at…..
Additionally, you can combine WWFF with the Keith Roget Memorial National Parks Award and the VK5 National and Conservation Parks Award. Happy park activating and hunting! Other than the recent VKFF DX Hunter award, I have also introduced the following VKFF award….. The certificate is issued to amateurs around the world who make contact with VKFF areas in all Australian States and Territories. There will also be an equivalent VKFF Activated All Australia certificate on offer. 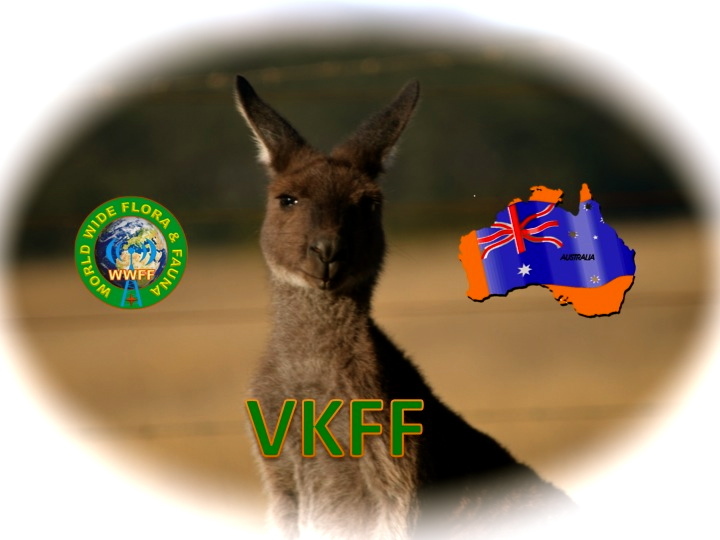 The qualifying Australian States and Territories and the minimum number of contacts required by VK operators are as follows…..
That equates to a total of 37 different VKFF areas. Hard, some of you are saying? Well maybe not. Check out the WWFF LogSearch facility and you might be surprised whose log is uploaded there. I have been chasing down a lot of the DX petitions that have activated VK0 & VK9 locations over the years, and there are many logs recorded there. So you may be closer than you think. The qualifying Australian States and territories and the minimum number of contacts required by overseas operators are as follows…..
VK0 (Australian Antarctica, Heard Island, MacQuarie Island) – 1 VKFF area. 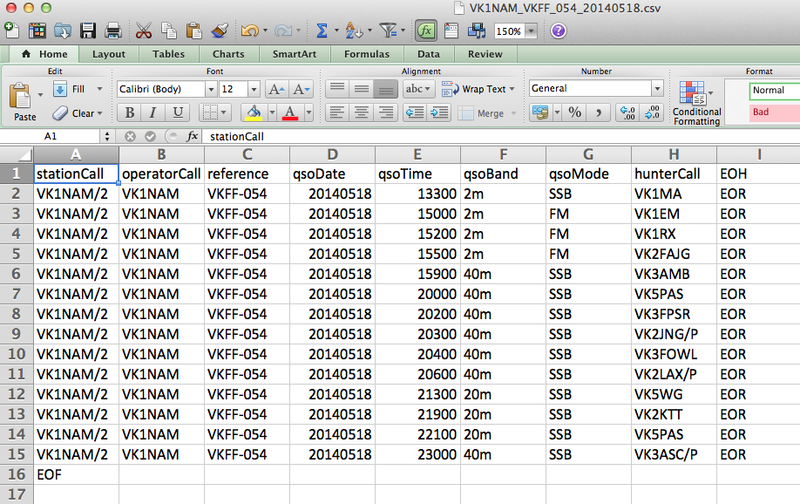 That is 16 different VKFF references for the overseas operators. New WWFF global award now available. The World Wide Flora Fauna program (WWFF) are pleased to announce a new WWFF award aimed at activators working from different DXCC entities. It is the DXFF Activator Award. The certificates have been designed by Pit YO3JW and has been coded into the WWFF LogSearch award application module by Andrew 2E0GFF. The certificates are issued in increments of 3. In other words, activate a WWFF reference area in 3 DXCC entities, 6 DXCC entities, 9 DXCC entities, etc. There are a number of other new WWFF global award certificates under development for both Activators and Hunters. Keep updated via the WWFF global website at….. These new awards will be on top of the WWFF global award certificates already issued, namely the WWFF Activator and WWFF Hunter certificates. Remember, that these awards are issued by the WWFF global Committee. They are separate to the National awards on offer by many participating countries in the WWFF program, which includes Australia (VKFF). 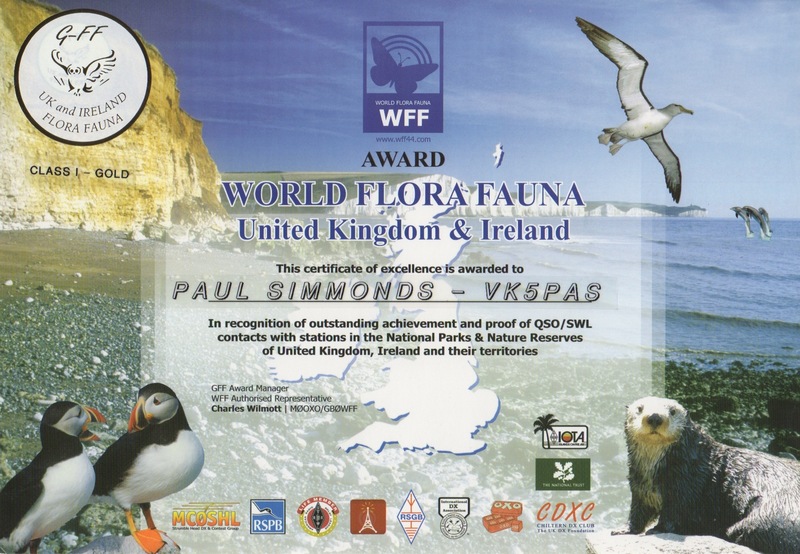 I have started initiating some more certificates for the VKFF program of the World Wide Flora Fauna (WWFF) program. One of those is the VKFF DX Hunter certificate. 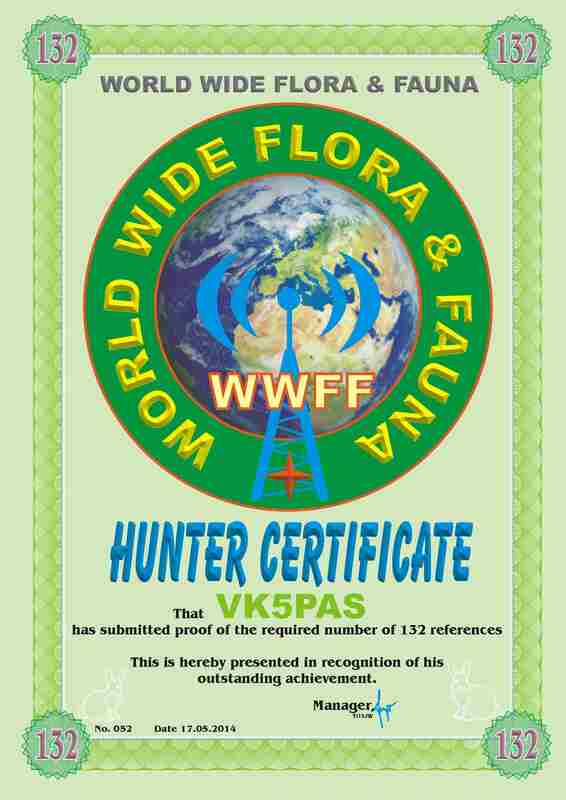 The VKFF DX Hunter certificates will soon be available on-line via the WWFF LogSearch. As such it will be available for free via a PDF, or I can print it out for you for $5.00 and mail it. The certificate will be printed on high quality gloss photo paper. It is issued to Australian amateurs only, for making contact with amateurs operating in various WWFF areas located in different DXCC entities. The certificates will be issued in increments of 5 DXCC entities. It is hoped that this award will encourage more Australian operators to make contact with overseas WWFF activators.